Searching online for something like “diet plans,” or “Caribbean vacation,” or of course “iPhone,” is bound to present a slew of results, including ads. 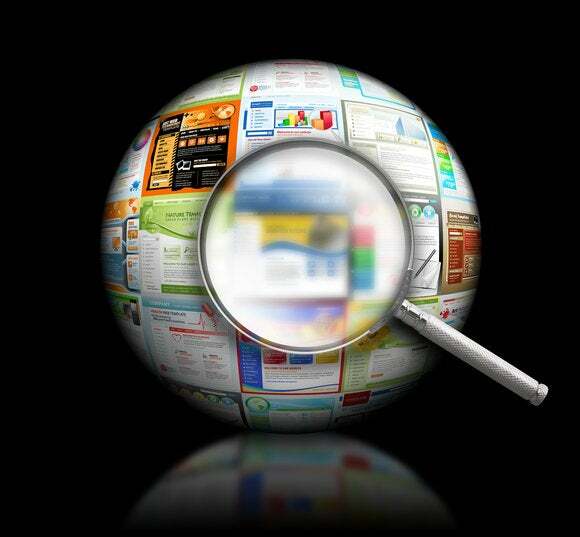 Now, the U.S. Federal Trade Commission wants search engines to display those ads more clearly. In a letter to Google, Yahoo, Bing, Ask.com, AOL,and nearly 20 other of the most heavily trafficked search engines, the government consumer agency is laying out a new set of principles for those companies to follow to better distinguish natural search results from paid search results. The areas outlined in red in this 2011 example are sponsored results, not search results. Search companies were already advised in 2002 by the FTC’s Bureau of Consumer Protection about the potential for consumers to be deceived, in violation of Section 5 of the FTC Act, “unless search engines clearly and prominently distinguished advertising from natural search results,” Mary K. Engle, associate director at FTC’s division of advertising practices, said in the letter. Companies followed those recommendations in 2002, the FTC said, but since then “we have observed a decline in compliance with the letter’s guidance,” the letter said. “Top ads,” or advertising that is located immediately above the natural results, may be partly to blame, the FTC suggests. The group cites a recent survey by the search strategies company SEOBook that found that nearly half of searchers did not recognize top ads as distinct from natural search results. Google does maintain a strict separation policy of ads and search results. On Google.com, results that appear in the middle of the page are never paid. But advertisements that appear on the right-hand side and sometimes at the top—those links are paid and are always clearly marked as “ads,” the company states on its website. “Clear labeling and disclosure of paid results is important, and we’ve always strived to do that as our products have evolved,” a Google spokeswoman said in an email. Microsoft’s Bing division declined to comment on the letter. Since the original 2002 letter, most search companies have elected to use “shading,” or a different background color to distinguish paid results from natural results. But the FTC encourages companies to use more explicit visual cues and text labels to ensure that these markers are sufficiently noticeable to Internet users. For example, companies should employ more prominent shading that has a clear outline to distinctly set off advertising from natural search results, the FTC recommends. “To avoid the potential for deception, consumers should be able to easily distinguish a natural search result from advertising that a search engine delivers,” the letter said. “We recommend that you review this letter and make any necessary changes to conform to this guidance,” the FTC said.